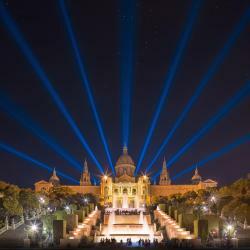 Looking for hotels near Museu Nacional d Art de Catalunya MNAC? Located in Barcelona, just 2133 feet from Plaza de España, Bordeta apartment offers a balcony with city views and free WiFi. Hostafrancs Metro Station is 5 minutes’ walk away. 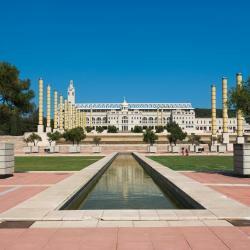 Camino B&B is located in Barcelona, right next to Montjuïc Hill. This property offers air-conditioned rooms with free WiFi. Offering free WiFi and a seasonal outdoor swimming pool, The Corner Hotel is located in Barcelona, a 13-minute walk from Casa Batllo. The hotel was amazing! Loved everything about it. This stylish design hotel is located 492 feet from Rocafort Metro Station in Barcelona. It offers a trendy rooftop bar and air-conditioned rooms with free Wi-Fi and plasma satellite TV. Really great staff and wonderful, reasonably priced restaurant. 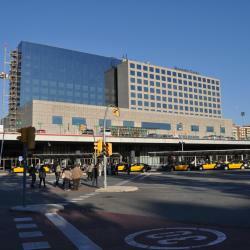 The stylish Hotel Jazz is located a 2 minute walk from Plaza Catalunya in the center of Barcelona. It features a rooftop pool and terrace with views of the city. Location was perfect for us. Everything we needed was just outside the hotel. 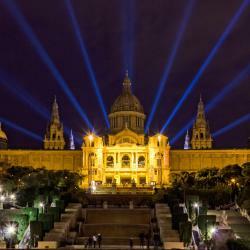 Hotels with great access to Museu Nacional d Art de Catalunya MNAC! Located in Barcelona, 1.2 miles from Magic Fountain of Montjuic, Casa Vaganto has a shared lounge. 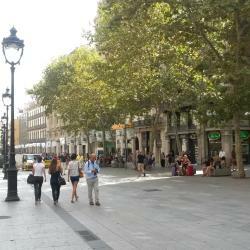 1.2 miles from Montjuïc, the property is also 1.2 miles away from Placa Reial. Free WiFi is... The staff were super friendly and very accommodating. The rooms were exactly as described. The Ayre Hotel Gran Via is a modern design hotel with a bright central courtyard. 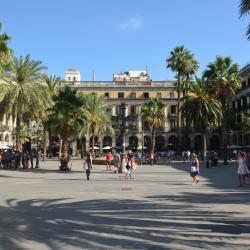 It offers free Wi-Fi and a convenient location, next to Barcelona’s Plaça Espanya. 1. Location - proximity to transportation and downtown. 2. Located in Barcelona’s Eixample District, beside Rocafort Metro Station and 15 minutes’ walk from Plaza Catalunya, Chi Hotel offers air-conditioned rooms and free WiFi. 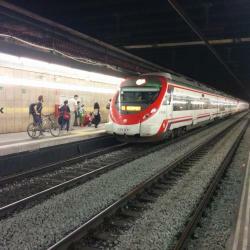 Amazing location, right next to the metro station so you can easily travel anywhere. Offering a heated rooftop pool with a large sun terrace, TWO Hotel Barcelona by Axel is located in the heart of the gay district of Barcelona, 1.2 mi from Barceloneta Beach. 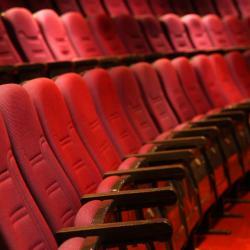 It was clean, organized, hosts were nice and helpful and location is good.